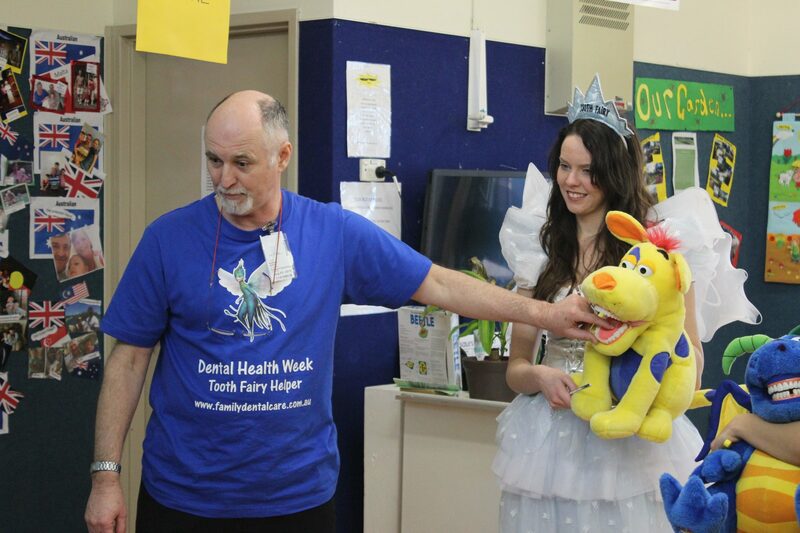 Working in Campbelltown provides a fantastic opportunity to volunteer our unique services and help and inspire our local community regarding oral health. Our dentists became concerned that they were seeing large amounts of young children with toothaches. We realised there was a need for oral health education in the Macarthur area, to help prevent the problems we were seeing. Since 2007 all of the staff at Family Dental Care offer their skills, time and energy to the children in our local schools and preschools, in the hope that by teaching about good oral health habits and making dentistry fun, we would encourage a better dental outcome for their future. We cannot get a grant for our community work, so we choose to fund it ourselves. We thank Colgate, who have the ‘Bright Smiles, Bright Future’ program and provide us with 4 preschool education packages to give out each year. Volunteering has also led us to helping the National Dental Foundation, and the Rebuilding Smiles program to provide free dental services to local Campbelltown people in need. Please contact your local charities to see if they can pass your details on to the NDF. We are only a small dental practice, but we have big hearts and gladly volunteer in as many ways as we can to the wonderful people of Campbelltown. To date we have provided over $60,000 worth of dental services to the community and educated over 1, 973 children in our local schools and pre-schools. In 2018 Dr Joshua Ting provided dental health education to seniors at Durnham Green Retirement villiage which was a lot of fun.